Register For 4 Races With One Entry! The Sweet 16 Race Series features the four largest, 4-Mile events in the Midwest: The St Patrick’s Day Run, CCVI Trolley Run, Ward Parkway Four on the 4th, and The Kansas City Zoo Run. Save money on the entry fee for each race AND receive an awesome finisher prize for completing the Series! The Series encourages you to commit to and maintain an active lifestyle throughout the year - All while running some of the best races in the city! Enjoy the melodious sound of bagpipes, Irish Dancing, crisp morning air, and companionship of 4,000 countrymen clad in green as you journey through the rolling hills of Westport! This 4 Mile shindy is entering its 41st year and you will see it only gets better with time! Get your Irish on for a party along the course, finisher medals, long sleeve tech shirts, and great food/drink specials. A Kansas City tradition for 31 years, the CCVI Trolley Run kicks off the road race season each April with a beautiful race down the Trolley Trail and concludes with a huge after party on the Country Club Plaza! 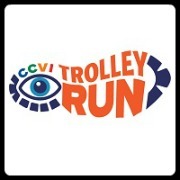 Trolley Run is organized by the Children’s Center for the Visually Impaired, and is CCVI’s largest annual fundraiser which raises much needed dollars for programming at the center. Throw on your red, white, and blue, this 4th of July and join us for Uncle Sam’s favorite race – Four on the 4th! 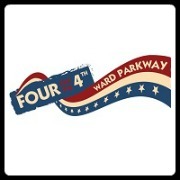 We’ll be running 4 beautiful miles of America along Ward Parkway as we celebrate Independence Day! Participants receive a course as exciting as fireworks, great tech shirts, festive giveaways, patriotic snacks, and finisher medals as bold and charming as the American dream! 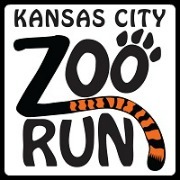 Join us for the 16th Annual Kansas City Zoo Run, “Run for Tree Kangaroos”! The 4 Mile Run is a timed, waved race winding throughout the Kansas City Zoo! Scenic pathways provide a beautiful, fun, unique race course. Each year, a different species is featured, along with cute animal shaped medals and age group awards, great food, expo and a live band at a post-race party.